Adkins (co-founder of Nerds on Earth) We’re reviving our Slack Chats just in time for the holiday shopping season. 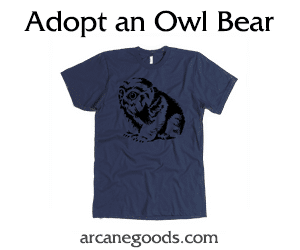 If you’ve got a nerdy loved one in your life, this post is for you. I’ve rounded up a couple of the Earth Nerds and challenged us all to bring nerdy gift ideas right to your RSS feed at three different price points: Less than $20, between $21 and $50, and between $51 and $200 (go big or go home!). Let’s start on the cheaper side and work our way up, shall we? Abram, what do you have to suggest for less than a Jackson? Abram (@origamigoblin on Twitter) Alright, so we’ll start nice and easy! I’m going to go out on a limb and assume that you two are familiar with a man known as William Shakespeare? Adkins Ole Billy and I are tight. And also on first name basis. Abram Apparently nicknames too! So you know Bill…what about a franchise that goes by a little name called ‘Star Wars’? Adkins It rings some bells, yes. Abram What if this gift idea mashes the two together?! 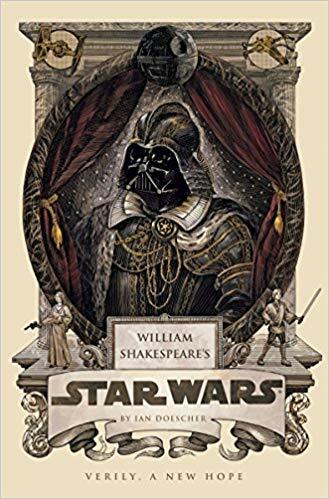 That’s right, it’s Star Wars, but written in the style of William Shakespeare! Olde tyme and all that jazz. Adam Oh, now that sounds like the type of Shakespeare I’m willing to read! Abram They’ve written the entire gambit out for us to enjoy. In fair Verona where we lay our scene and so on. It’ll run you just over ten bucks per book, so you can skip whichever ones that might not tickle your fancy. Adam Dang, I’d buy that for the artwork alone! It’s incredible. Adkins I’d never even heard of this! I’ve seen mashups like Pride and Prejudice and Zombies, but this is neat as well! You own any of these yourself? Abram I don’t, but now that I know they exist I’m certainly going to picking up one or six. Adam I’m glad they did the prequels too and not just the originals. I know many hate them, but they were my first. I think it’d be fun to read them in this style. Abram Agreed! Definitely gives them a new life. What crazy gift idea do you have for us, Adam? Adam Well, for my first gift I wanted to spread my love of board games and recommend the first game wife and I fell in love with. 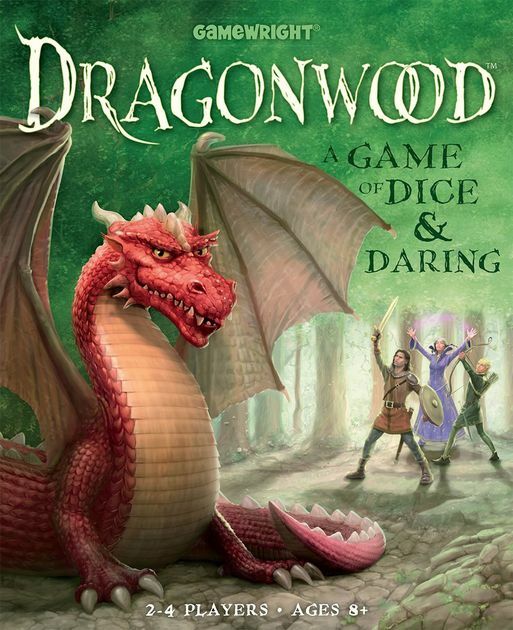 It’s an incredibly simple dice slinging, monster hunting, card game named Dragonwood by Gamewright. Abram Oh man, Gamewright has some solid classics (Sushi Go, anyone?). I’ve never played this one–what’s the premise? Adam It’s really easy to pick up! There are monsters in the forest that need to be defeated. Every turn you either draw a card or play cards in a particular order, granting you access to a certain amount of dice. Which you then roll to defeat the monster! Once both dragons have been defeated the game is over! The best part is you can normally find this game for about $15 bucks. For the hours of fun we’ve had together I’d say it’s well worth the buy! Adkins What ages does the game recommend? Good for the young’uns? Alright, Schmadkins, I’m sure you’ve saved the best for last? Adkins My less than $20 submission is also a book. 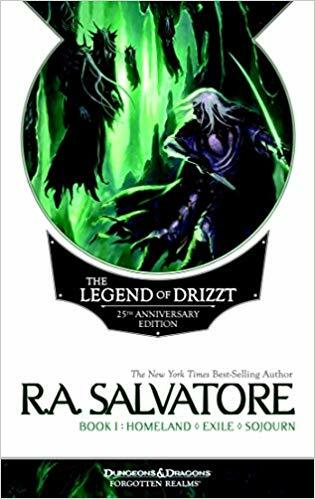 I reviewed the newest Drizzt novel, Timeless, recently and I loved it so much I decided to finally start reading all of the Drizzt novels that have been lining my shelves for years. But I gotta do things in sequence, you know? I wanted to read everything chronologically, and I didn’t have Homeland, Exile, and Sojourn. But a quick search on Amazon revealed that there were several 25th Anniversary Editions of the Drizzt novels collecting three novels at a time for less than $20. It was a no brainer. Abram What?! I won’t believe it until I see it. Oh he’s right, Adam. He’s right. Adam After reading your article I’ve made it one of my New Years resolution to read some of the Drizzt books! Adkins RA Salvatore’s work in the Forgotten Realms with Drizzt is just good reading; even if you’re not into D&D one bit. Abram That’s awesome. I remember one of my friends introduced me to Drizzt on a camping trip one time and I was hooked. Adkins I’m going to start the conversation about the $21-$50 items and recommend a good set of metal dice. 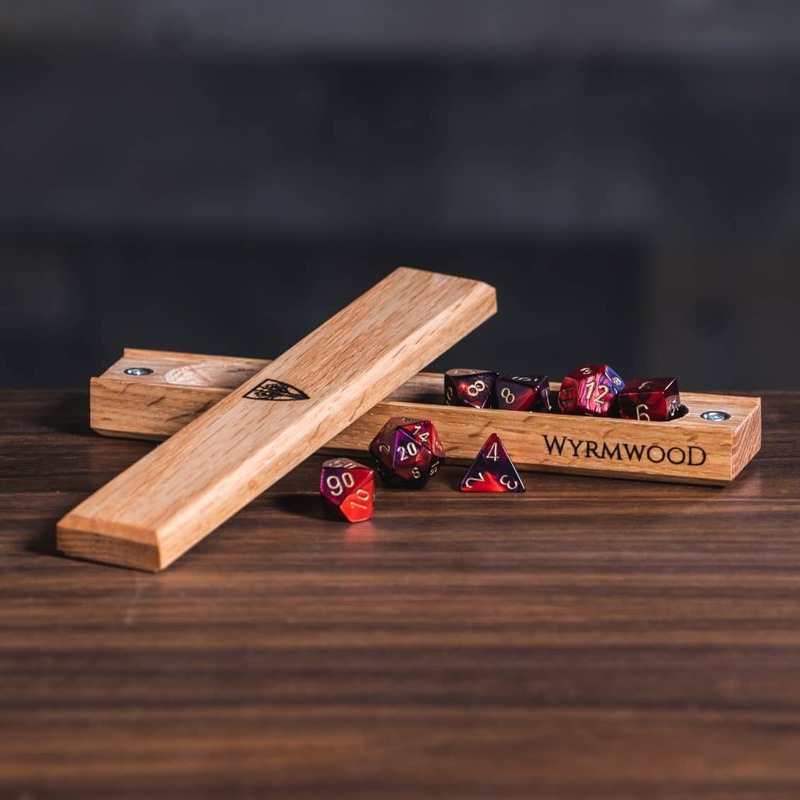 The set I bought was about $35 from Norse Foundry, but you can find them online for $20…and if you do that, I’d say spend the remaining $30 on a sweet dice vault from Wyrmwood! We all love the tactile sensation of dice, and I personally think that sensation is cranked up to 11 when you toss one of these bad boys down. I highly suggest a tray of some kind between it and any surface you’re playing on though! Abram Nothing beats the sound of metal dice hitting the table. And I like the extra heft! My table is not happy with me. Too many dents. Adam Man, Wyrmwood has been something on my wish list for a while. Those Dice Vaults are BEEAUUTIFUL! Well, since we are talking about dice let me tell you about my $21-$50 item! 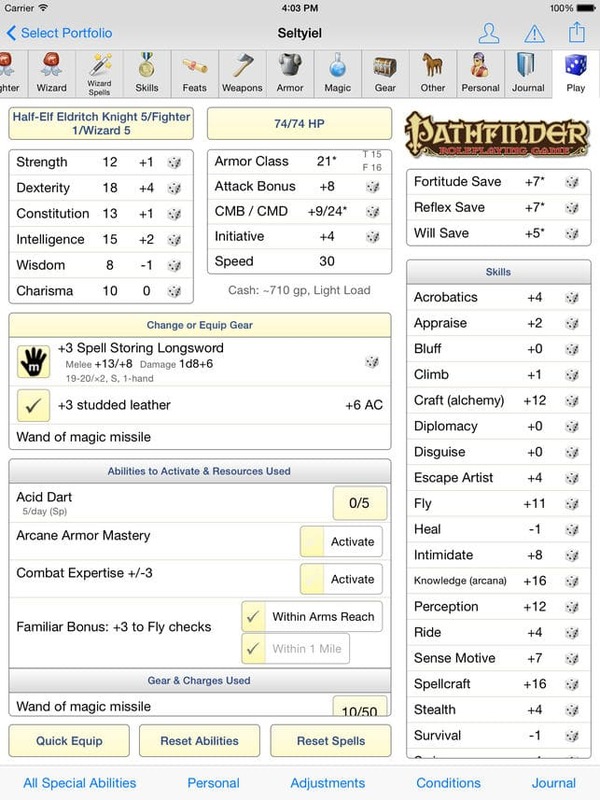 With the new Pathfinder 2.0 system in full swing, I think one of the best gifs you could purchase your fellow nerd is a nifty Hero Lab subscription! I was introduced to Hero Lab way too late in the game and I honestly don’t know how people get by without it! Especially past level 5! Abram Hero Lab is such a blessing at higher levels, I totally agree! Adam Why have 30 sheets for your barbarian when you can just click a button to go full on Super Saiyan! Adkins While I do insist on creating a few characters with pencil and paper in every system I play in (I just think that helps you learn things a bit), I am definitely a huge fan of Hero Lab and use it all the time. Both as a player and a DM. Its cool that they have a system in place to gift that, really. It is definitely a sweet tool for anyone who plays with some regularity; especially if they are playing in multiple games and even multiple systems. Abram I’m going to bring it back to board games for my $20 – $50 item. Mysterium is an amazing game that’s perfect around Halloween, but it’s more than good enough to play year-round! One player is the ghost trying to communicate the source of their murder – location, implement, and suspect – in a fun twist on another classic…Clue! 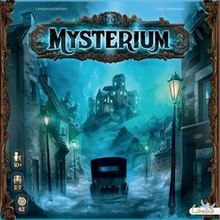 Adkins My gaming group LOVES Mysterium! It is a delight, but it has also lead to much shouting and questioning of one another’s intelligence. Adam Oh wow, that sounds like it could be a lot of fun! Lot’s of acting and roleplay involved I’m assuming? Abram For sure! It’s all about setting the mood and communicating through these vibrant images without saying a word while the other players discuss and hypothesize among themselves. The rulebook even has a link to an ambient soundset to put on while you play. Adkins Dude, I didn’t know about the ambient sound link. That’s a sweet touch! Adam That’s awesome! Sounds like we need an NoE Mysterium get together soon. Abram Count me in for that! Adkins I’ll gladly yell and you and insult your intelligences. Adam All right, let me slam down what my mega gift is! We all know that sometimes being an adult nerd means you have to buy sensible gifts! Right? Sometimes, that’s a new fridge, sometimes it’s a car part, and sometimes it’s a new toolset. 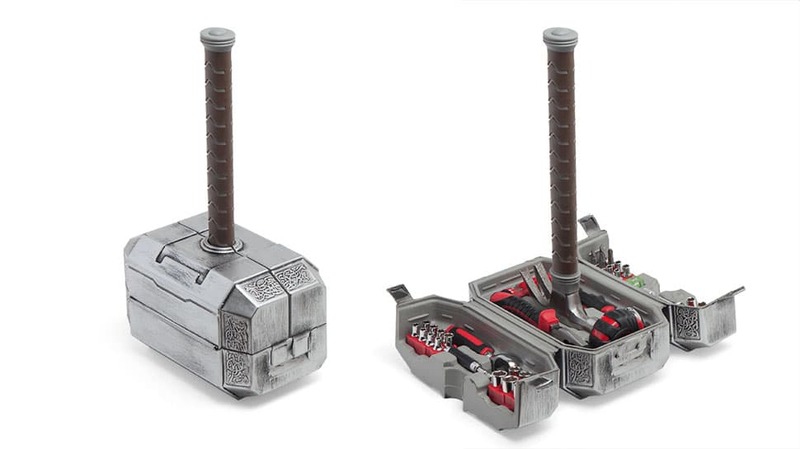 What if I told you they made a toolset with the power of Mjolnir? Adkins Then Abram wouldn’t be able to use the thing. But I might, so go on! Adam Even you can turn wrenches with the power of Thor! Need to help someone on the side of the road? Why not be like Thor while your doing it! Abram Haha, it’s the perfect anti-theft device. Adkins I’m super loving that the hammer’s handle…is a hammer’s handle. Abram Wow I can’t believe I missed that. That is too funny and too perfect! Adkins He who holds this hammer…if he be handy…will posses the power of Thor. Abram Guys, we need to get serious here for just a second. It’s been six years since Borderlands 2. Adkins Gah, don’t remind me, man! The Borderlands games were some of my favorites back then! Abram I’ve been ITCHING for more of that cell-shaded shooter. 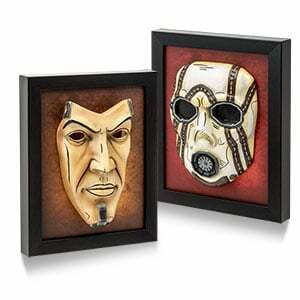 So, to hold us over until #3 comes out (please 2K), you can get these incredible hand-painted, framed resin masks in the likeness of either Handsome Jack or a Psycho Bandit. Abram I’m not too proud to cut a hole in the back. I’ll cosplay as ‘A painting of Handsome Jack’ – the most handsome being on all of Pandora. Adam I’ve sadly never had the chance to venture out into the Borderlands! These look awesome though and are so iconic for the Borderlands games! Adkins Adam, bro…you can get a collection of two of the games for less than $20! Adkins Handsome Collection. Google it! Abram Adkins…what’s your top-tier item?? Adkins My big item is the most expensive of those outlined here, but not by too much. For the first time EVER…Batman: The Animated Series has come to Blu-ray and I want the Deluxe Limited Edition SO FRIGGIN BAD. 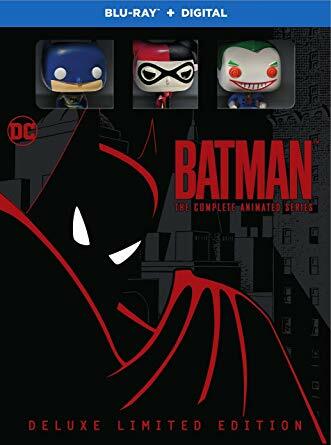 It has 109 episodes + 3 tiny Funko Pops + Mask of the Phantasm and Batman and Mr. Freeze: Sub Zero. Plus other nerdy bits like documentaries and commentaries – which I love. Adam Dang, my childhood on Blu-Ray. YES PLEASE. I loved this series so much. I’ve seen the side by side comparisons and it’s amazing how good it looks remastered! That would make anyone happy. Abram If you could see me right now, I’m swooning. Adam Mask of the Phantasm is one of my favorite DC movies of all times. Abram That’s the ultimate gift for anybody of any age! Adkins Especially our age. I mean, we’re all hearing the theme song in our heads right now. Bet. Abram Sending you money now. Adam Yep, I owe you hard cash! I’ve been humming it for several minutes. Adkins I’ll put it towards the set! Adam That really is a series that will surpass generations. One of the iconic DC characters, Harley Quinn, even made her first appearance in the series! Abram I can HARLEY contain my excitement! Adkins And on that note…I’m pulling the plug. Great gift ideas, guys! And hey, if you actually get any of those items for Christmas yourself, be sure to let us know! Abram You’ll be the first to know!